Trump announced additional economic sanctions, doubling tariffs on imports of Turkish steel and aluminum. US President Trump wrote: “Our relations with Turkey are not good at this time!”. 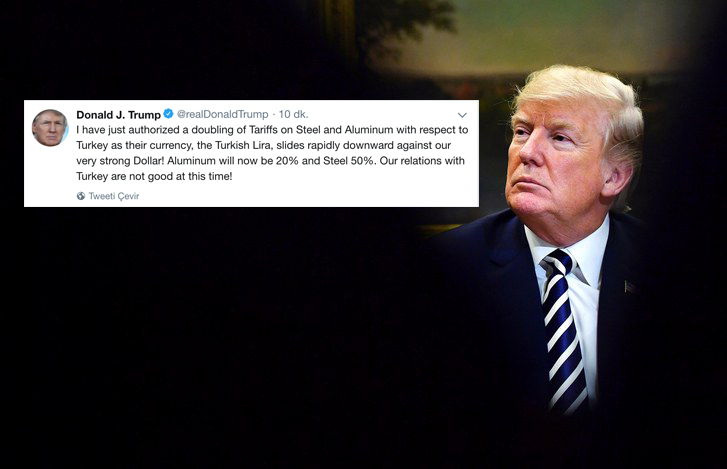 Mr. Trump tweeted ‘I have just authorized a doubling of Tariffs on Steel and Aluminum with respect to Turkey’.